Frank-Partners is Nick Frank's personal consulting brand. Created in 2010, it came from his passion for industry and the growing trend that services are essential for the survival of many organisations who face commoditisation of their business. 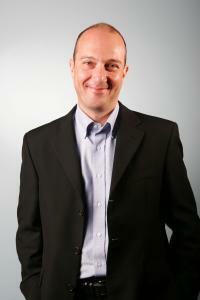 Nick Frank has a track record in developing services businesses within high value manufacturing & technology companies. He now uses this expertise, to support his clients increase their growth, service revenue, profits and customer loyalty. Clients range from small SME organisations to global manufacturing businesses in industries as diverse at Equipment OEM's to Electronic Payment Systems. To stay on the leading edge of service thinking, Nick Frank has worked with professor's from Koln, Insead and IMD. He is currently a visiting lecturer on Service Innovation to MBA and MSc students at the Henley Business School and Warwick University. Before developing a management consulting career, Nick Frank worked for over 25 years as an International Manager in industry. Through challenging roles, he established a track record of turning strategy into concrete results in a number of different manufacturing and technology industries. Most recently he was General Manager of After Market Sales at Husky Injection Molding SA ($1.2bn Canadian capital equipment manufacturer). Over a 3 year period he transformed a traditional customer support organisation into a proactive services business, providing lifecycle services that supported all aspects of the machines, molds and hot runners. Previously over a 14 year period, he held a number of Service Director level positions at Textron Fastening Systems($1.8bn division of Textron Inc), where he led the creation of their EMEA Services business. Nick was responsible for starting up the first of Ford Europe’s Fastener Full Service Provider programs. This laid the foundation for a $30million services business, for which he later led the commercial development. Prior to working in services, Nick was a Global Product Manager and Electronics Sales Manager with Avdel Textron, a specialist manufacturer of fastening systems. Nick Frank graduated with a mechanical engineering degree from the University of Southampton (UK) and started his professional training with Xerox Corporation (UK) as a Development engineer where he was granted a number of patents and gained his chartered engineering status. Xerox sponsored Nick to complete an MBA at the Cranfield School of Management, after which he worked in a number of European marketing and launch management roles. Finnolux: Nick is a non executive director of the FinTech start up Finnolux, bridging the gap between Finance and Technology using the Innovation Ecosystem of Luxembourg. International Manufacturing Centre at the University of Warwick, UK. External Project Supervisor for the Service MSc course and a visiting lecturer.